With Nordic walking attracting many self-referred clients with medical conditions, an understanding of these conditions and the impact they have physical and mentally is vital to best meeting our clients’ needs. Note: these modules are also available to Nordic walking clients who may wish to better understand their own medical condition and the effects on exercise. This course is hosted by the College of Contemporary Health. It prepares fitness professionals for the challenge of working with overweight and obese clients. It provides the tools and comprehensive knowledge required to assist clients in successfully losing or maintaining weight. Instructors also gain access to an extensive fitness prescription toolkit that can be used immediately with clients. Hypertension (high blood pressure) affects many people of all ages. It is widely accepted that under controlled conditions low intensity activities such as walking can greatly improve an individual’s condition. Osteoporosis affects many people especially as they get older. It is important that we keep our bones strong in order to look after them as we age. 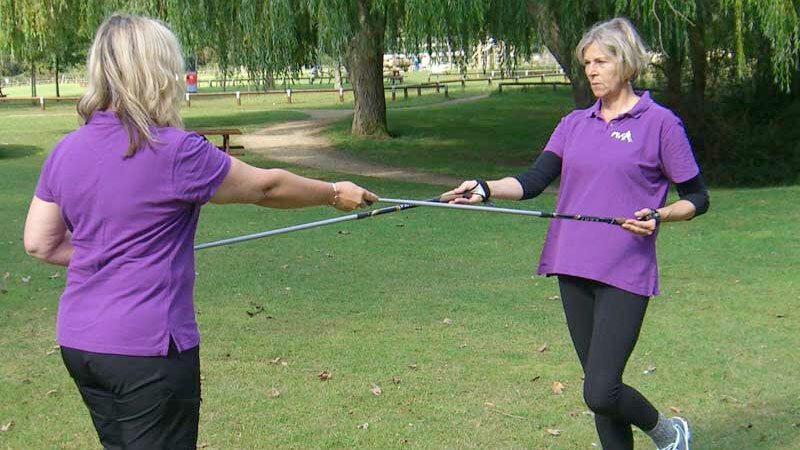 Nordic walking is the perfect modality as it incorporates lower and upper body movement.